Alex conducts Vox Luna as they make their debut at Dulwich Festival, performing a varied programme of works by Stanford, Rachmaninov, Whitacre, McDowall, Byrd, Bruckner and Tavener. Also includes the world premiere of Alex’s own ‘The Darkling Thrush’. Alex conducts Vox Luna at St Matthew’s Church, Westminster (, as they perform a programme of mostly Russian repertoire. Alex also accompanies violinist Stephanie Childress in Prokofiev’s Five Mélodies. Thanks to the support of the Oleg Prokofiev Trust, this concert is FREE to attend (no tickets required). Alex joins Alexei Watkins to present a varied programme of horn and piano music – including some of Alex’s own – at the beautiful Chapel Royal, Hampton Court Palace. Broadcast of Alex’s song cycle ‘Quiet London’ on BBC Radio 3. Performed by Rowan Pierce (soprano), Elgan Llyr Thomas (tenor) and Iain Burnside (piano), and presented by Ian Skelly. 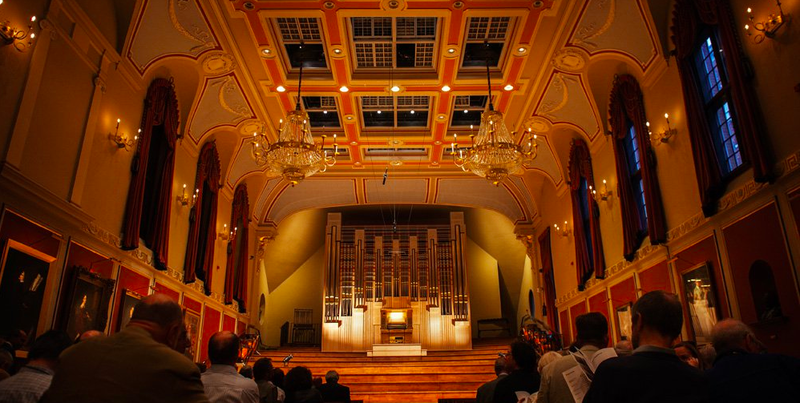 Premiere of Alex’s organ voluntary The Word Became Flesh at St Pancras Church, London, broadcast live on BBC Radio 3’s Choral Evensong programme. Commissioned by the London Festival of Contemporary Church Music and performed by Léon Charles. The Damian Singers perform Alex’s newly-composed anthem at York Minster, specially commissioned for their 25th anniversary year. The London Mozart Players premiere Alex’s new orchestral work, commissioned for the orchestra’s 70th birthday season. This gala concert will be the first to take place at the newly renovated Fairfield Halls. The Damian Singers perform Alex’s newly-composed anthem at Salisbury Cathedral, specially commissioned for their 25th anniversary year. Recital at St John’s Smith Square with horn player Alexei Watkins. Programme to include Beethoven’s Horn Sonata and Alex’s own Aria. Rowan Pierce (soprano), Elgan Llyr Thomas (tenor), and Iain Burnside (piano) perform a new work by Alex in the opening concert of the Ludlow English Song Weekend 2019, alongside works by Finzi, Butterworth, Vaughan Williams and Ireland. 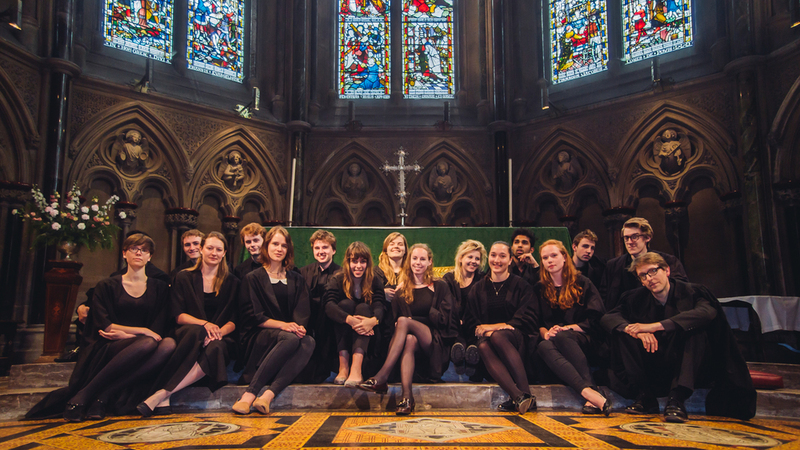 Second performance of Alex’s a cappella choral work The Virgin Mary, at the Chapel of Lincoln’s Inn. This performance takes place at Lincoln’s Inn’s annual John Donne Service; Alex’s piece, fittingly, is a setting of text by Donne. Daniel Shao and Joseph Havlat give the live world premiere of Alex’s Golden Rhapsody, written for and recorded by Sir James Galway in 2017, at the 1901 Arts Club (London). 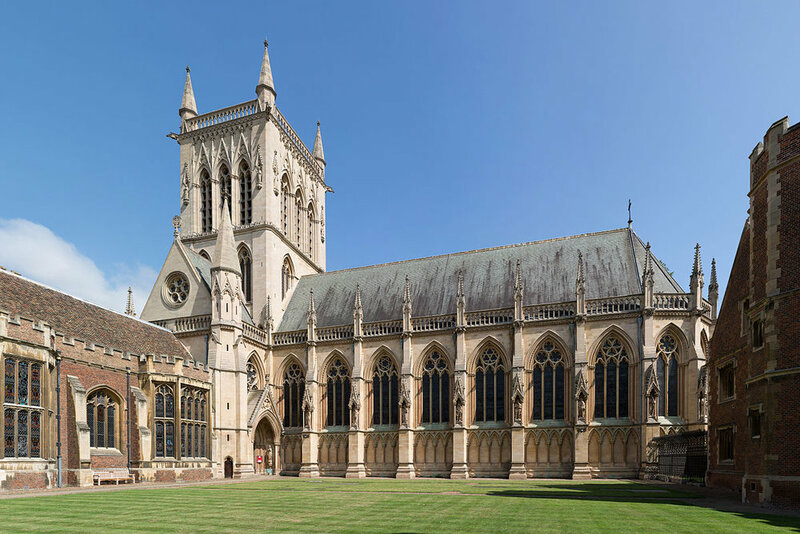 Alex’s St John’s Service (Magnificat and Nunc Dimittis) and his setting of the Responses will both be sung at Evensong at St John’s College, Cambridge, marking 150 years since the consecration of the College Chapel. 2nd performance of Alex’s setting of the Responses and Preces, at St John’s College Evensong in Cambridge. World premiere of Alex’s setting of the Responses and Preces, at St John’s College Evensong in Cambridge. The Lipatti Piano Quartet premiere Alex’s new work for the ensemble at The Purcell Room, Southbank Centre, alongside works by Mark-Anthony Turnage, Amy Bryce and Joe Cutler. Alex heads to Switzerland for performances of his Ave Virgo Sanctissima and Christmas arrangements by the Choeur St-Michel. Alex conducts Vox Luna Chamber Choir in a sumptuous festive programme of choral works old and new, in the stunning setting of The Wallace Collection in central London. Programme to include works by Rutter, Whitacre, Britten, Warlock, McDowall, and Alex's own award-winning carol 'Nowell'. Alex accompanies mezzo-soprano Tabitha Reynolds in a varied and festive programme of Mozart, Handel, Britten, Howells, Warlock and Massenet. 11am at St Mary’s Church, Faversham. Alex’s choral work The Virgin Mary (for unaccompanied SATB with divisi) is premiered by Nicholas Shaw and the Choir of Lincoln’s Inn Chapel, at this year’s Lincoln’s Inn Carol Service on Tuesday 4th December. Premiere of a new piece for countertenor and string quartet, commissioned by The Arts Society and performed by Hamish McLaren (countertenor) and the Czigany Quartet (pictured) at the Royal Academy of Music, London. Matilda Lloyd (trumpet) and John Reid (piano) give the premiere performance of Alex's Direct Message, at the launch concert for Matilda's debut album (for which the piece was composed) at Royal Academy of Music, London. Premiere of a specially-commissioned piece celebrating 10 years of Aldeburgh Young Musicians, of which Alex was an original member. Performed by current and former Aldeburgh Young Musicians at Snape Maltings Concert Hall. Alex accompanies horn player Alexei Watkins in a recital of Beethoven, Franz Strauss, Messiaen and Alex's own music. 1.10pm at All Saint's Church, High Wycombe – free admission. 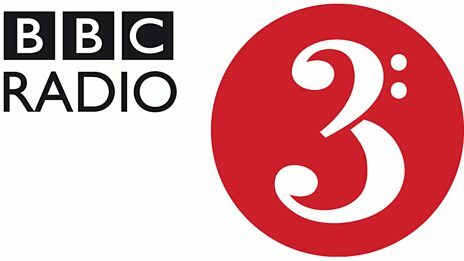 Broadcast of The NHS Symphony on BBC Radio 3. Alex has collaborated with producer Laurence Grissell to create a portrait of the NHS in words, sound and music in its 70th anniversary year. Music performed by 3 NHS choirs and members of the Bach Choir, recorded at the BBC with Alex at the piano, conducted by Mark Austin. The New Cambridge Singers perform Salve Regina at All Saint's Church, Haslingfield. Tabitha Reynolds (mezzo) and Alexei Watkins (horn) give the premiere performance of a special arrangement of 'The Fall' (from Requiem) at the Royal Academy of Music. Free entry; no tickets required. The premiere of Alex's Requiem, written to commemorate the end of the First World War. Performed by Laura van der Heijden (cello), Nicky Spence (tenor) and a bespoke choir of the UK's best young professional singers, conducted by the composer. The Requiem features new text from Gillian Clarke, National Poet of Wales, and whole event is in support of Children & The Arts The concert also features music by Purcell, Parry, Tavener and MacMillan. Premiere of Dark Sayings, a new anthem written for the combined forces of the Choirs of Norwich, Ely and Peterborough Cathedrals, commissioned by the Norwich and Norfolk Festival. Alex's percussion quartet Cantata receives its 2nd performance, directed by Neil Percy (Principal Percussion: London Symphony Orchestra) at Duke's Hall, Royal Academy of Music. 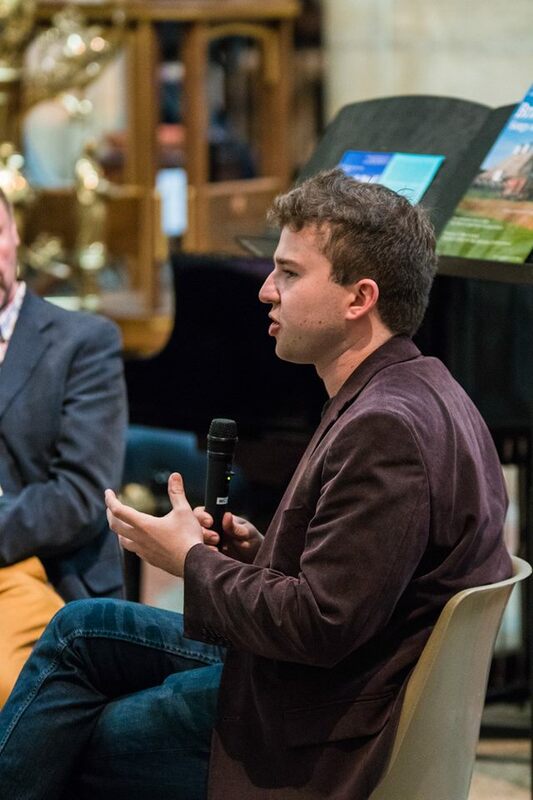 Alex performs with horn player Alexei Watkins at Southwark Cathedral, in a programme to include 2 of Alex's pieces: Aria, written for Alexei in 2017, and Land of Nod, a solo piano piece. The programme also includes music by Strauss, Gounod & Vinter. Free entry! Andrew Farnden (clarinet), Oliver Johnson (horn), and Jay Richardson (piano) perform Alex's Watch This Space in a recital of new chamber music at Gonville & Caius College, Cambridge. The London Symphony Orchestra and Francois-Xavier Roth rehearse and workshop Alex's piece 'Strike Up', written for the LSO as part of the LSO Panufnik Composers Scheme. Premiere of a new piece for violin and piano, performed by Michael Foyle and Huw Watkins at the Royal Academy of Music. Premiere of Alex's setting of Gillian Clarke's poem 'The Year's Midnight', performed by The Hermes Experiment – Heloise Werner, Oliver Pashley, Anne Denholm, Marianne Schofield (soprano, clarinet, harp, double bass) – at the Royal Academy of Music.